Go Team, Go! 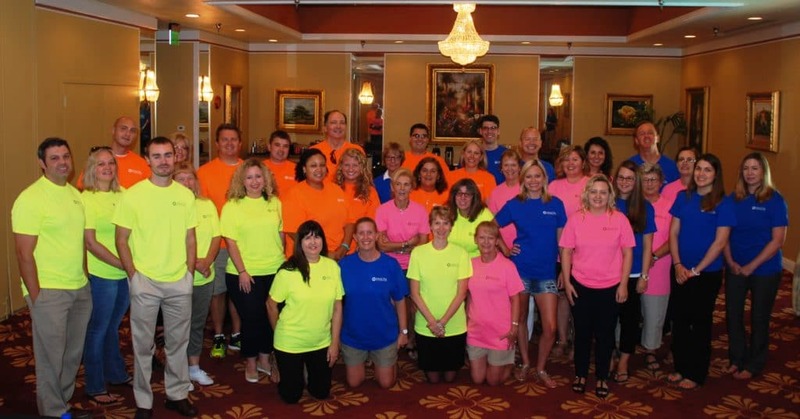 Team FRSCPA held their Firm Meeting in conjunction with its annual Firm Outing day on Friday, August 4th at the Safety Harbor Resort & Spa. The morning started out with motivational guest speaker and radio show host, Tina Levine, and ended with team building fun by Best Corporate Events. Teams competed in timed games as they played for the Gold medal in “A Minute to Win It” competitions. In the end, the Orange Team won the Gold, but it was a great time had by all. After the competition, everyone enjoyed an icy cold beverage at the poolside Tiki Bar which overlooks Tampa Bay. SUCCESS – yes, indeed; and a day well done by Team FRSCPA as they celebrated their many accomplishments!